Nathalie is originally from France. She is a World Swing Dance Champion and a Master Teacher. She has repeatedly won every major U.S. swing dance title. Known for her gravity-defying aerials, Nathalie has taught and performed in more than 23 countries. Her vibrant performances have earned Nathalie many stage, film, and television appearances. She performed and served as a consultant in the original Broadway production of Swing!, and has appeared at Carnegie Hall and Lincoln Center. She was a featured dancer in the 2003 Julia Roberts film Mona Lisa Smile and was a model for the dancing elves in Robert Zemeckis' 2004 animated feature The Polar Express with Tom Hanks. Her national television appearances include repeat engagements on The Today Show, as well as Entertainment Tonight, The View, Good Morning America, and on MTV. Nathalie founded Dance Quarter, and created and coordinates Mindsteppers where 700 children learn how to dance weekly! 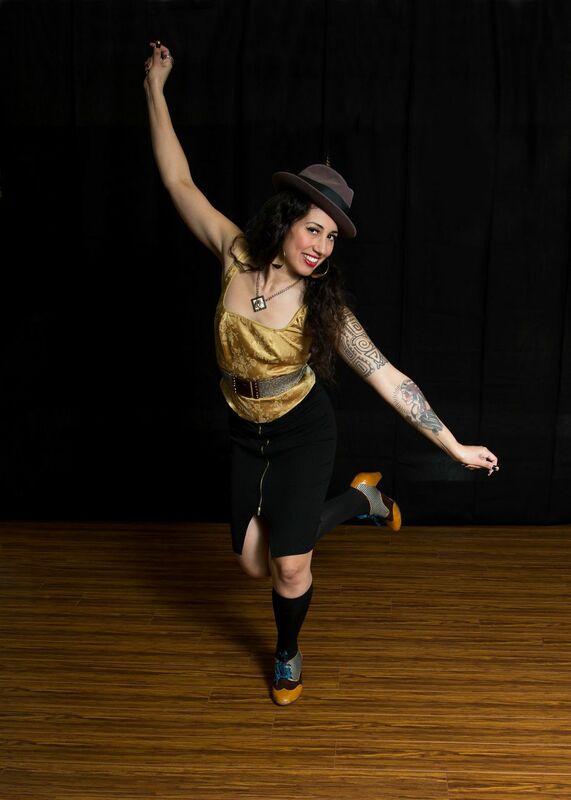 Giselle Anguizola has twenty years experience in the swing dance community teaching, performing and organizing events to help preserve vintage jazz styles. She's passionate about jazz music and performs with a local band, “The New Orleans Swinging Gypsies". G loves working with the community, spreading her passion for live music and dance. As an active yogi, she offers flow vinyasa yoga - open to all. Raymond Armant is a born and raised New Orleanian and grew up with a great appreciation for many forms of artistic expressions, especially music. His dance life began while on winter break from college in 2004, when asked by his sister to join her for a salsa class. While he had never tried anything like that before he quickly fell in love with this style of dance and also acquiring a special affinity for the Latin Rhythms. He immersed himself in learning all he could from local instructors around him including, Troy Anthony & Jorjet Alcocer and eventually began traveling to salsa congresses to learn from other national and international instructors. Upon graduation from college he returned home with a drive and passion for dance more than ever. This passion brought him together with Jana Blakes , Oscar Ramirez, Jonte Thibodeaux, & Tumay Tunur to form Mambo Orleans. They began teaching locally as well as performing at multiple National and International Congresses including, Houston, Dallas, Philadelphia, Cancun, & on the high seas at Aventura Dance Cruise . Through this experience Raymond gained another passion for teaching and sharing his knowledge of dance fundamentals gained over the years with others. Jana teaches group classes in Salsa on 2 (NY style) and private lessons in salsa and bachata. Katarina is the current director of Dance Quarter. She is a writer, dancer, teacher, and musician. Credits include Casa Mañana, TC Dance Club, New Orleans School of Ballet, Fort Worth Opera, Tennessee Williams and William Faulkner awards, the New Orleans Fringe Festival, and Best of the Net and Pushcart Prize nominations. Her novel "Platform Dwellers" is forthcoming from Owl Hollow Press. She teaches ballroom, Argentine tango, country, Louisiana heritage classes including zydeco and Cajun jitterbug, and wedding couples. Kris was rhythmically inclined from a young age, from singing to playing music by ear to finally entering the world of dance when she was 16. She quickly fell in love with the art of dance – learning, growing, teaching, and competing. Her roots are ingrained in all aspects of country western music and dance from cha cha and waltz to two-step and line dancing, and everything in-between. After giving up dancing for more than 20 years, she returned to her passion, determined to become a versatile and skilled dancer across many genres of dance. With a love of teaching, performing, and competing, she's immersed herself in Latin dance, Argentine Tango, and hip hop. Kris is currently co-teaching beginning ballroom. 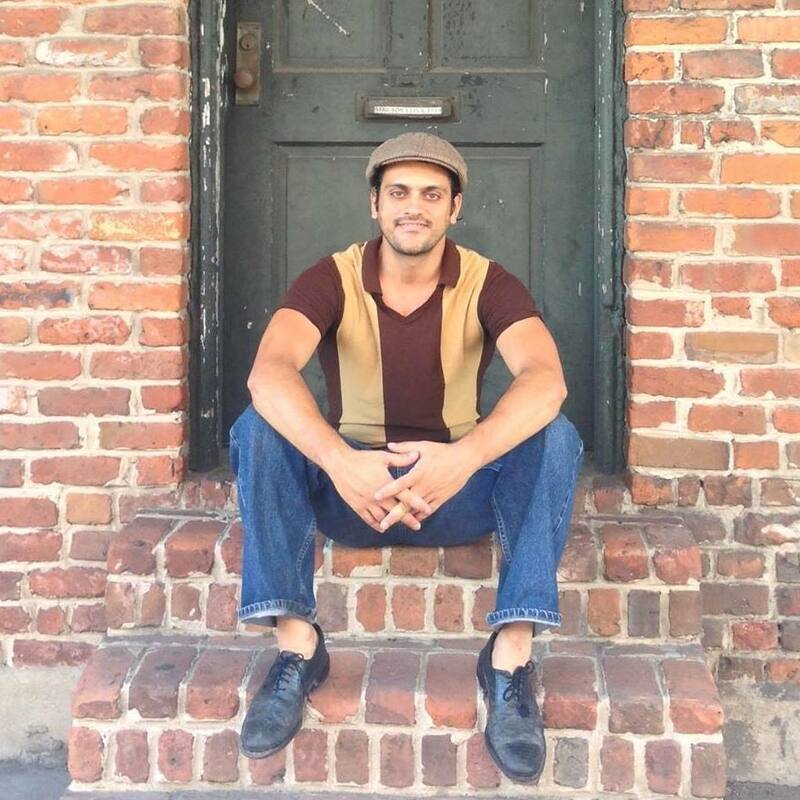 Gabriel started dancing Rock & Roll in 1997 and soon started learning different types of swing dances such as Lindy hop,Charleston,Balboa,Blues and Collegiate shag. In 2008 and 2009 went to Herrang Dance Camp to go further in his learning. In 2010 moved to New Orleans and since then has been sharing his knowledge to the local community. With more than 10 years of experience in teaching, he recently started a performance Troupe called “504 Lindyhoppers” spreading the joy of dancing throughout the city. As a performer, he achieved experience in contests; swing festivals; commercials, music videos and short films; social, private and corporate events and theaters including with some of the most recognized bands in the city.Throughout this time he also learn some other dance styles such as Tap; Argentine Tango and Flamenco. He also is a musician that studied few years at the conservatory and in the present he is playing jazz in the street. rained in Dance, Fitness, and Nutrition Shanda Domango is known for her passion, motivation, and energy as a dancer, personal trainer, and health coach. Shanda has established and choreographed the University of Louisiana at Lafayette’s (ULL) first Hip Hop dance team – Infinity. While at ULL, Shanda taught Hip Hop at P.J.’s Dance Art School and choreographed and danced for recording artists such as Wentrell Thomas, New Cupid (of the Cupid Shuffle), and Dawn Richard of Danity Kane (formerly Diddy Dirty Money). Shanda traveled as one of the leading performers and choreographers of Sweet Mango and toured her renown Hip Hop Cardio classes around the country. Shanda currently resides in New Orleans, Louisiana where she runs Domango Training. Tamalyn Dallal began her career in Middle Eastern dance (bellydance) 43 years ago. Through the non profit arts organization she founded in Miami and ran for 16 years, she has been the primary teacher of several internationally known dancers including Amar Gamal(MA) and Bozenka(Miami/Crete). She has danced and/or taught in 41 countries, and traveled extensively in the Middle East, North Africa and East Africa to spend time with women and learn about the cultures of the diaspora. Ms. Dallal spent many years dancing for Arabic weddings and other gatherings throughout the US, Latin America and the Caribbean, and has written four books related to dance and culture, as well as filming three documentary films, and produced two music CD's in Zanzibar. Ms. Dallal lives in New Orleans and teaches overseas part of the year. Rubia Garcia is a born and bred New Orleans Lady. Trained to play Classical and Jazz music since the age of seven, she quickly fell in love with the rhythm of Latin music in her early teens. In 2001, she began training with Cuban-born Salsero Aurelio Gonzales; performing Casino Style Salsa, or “Rueda” at various venues around Louisiana. In 2004, she broadened her dancing skills by training with world renowned instructors and performers Troy Anthony and Jorjet Alocer. She moved to the Dominican Republic in 2006 to study Spanish and various forms of Latin music and dances including Cha Cha, Merengue, and her personal favorite, Bachata. With almost 15 years of dance experience in Salsa, Merengue, Cha Cha, and Bachata, she is most noted for her unique look, which earned her the name “La Rubia,” and her rare ability to both lead and follow with style and precision. 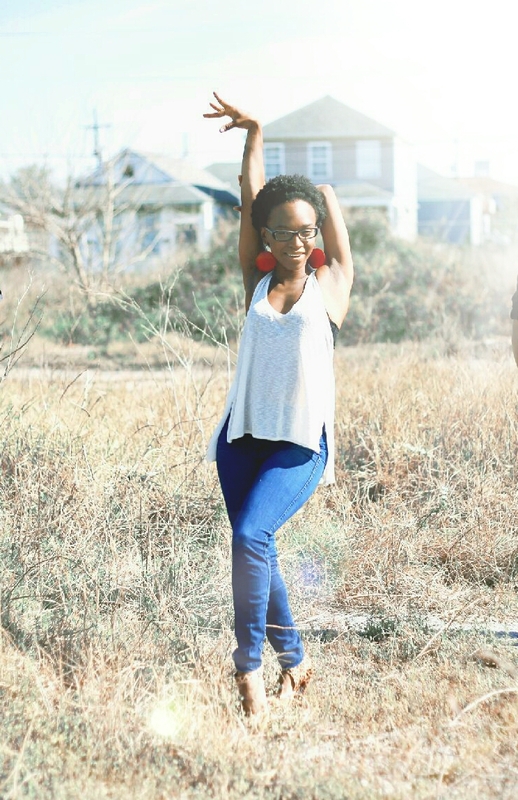 Chanell Gautreaux is a native New Orleans writer and artist whose lifelong passion for dance led her to become certified as a fitness instructor after learning about the Zumba Gold Program. She has worked in a variety of different environments from the enrichment classroom to the entertainment industry, and is delighted to be enjoying a dance renaissance while pursuing a career in fitness. 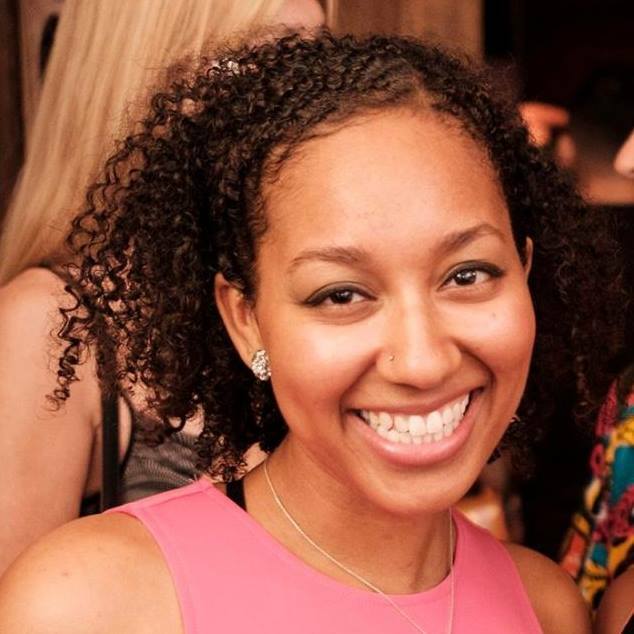 Chanell regularly attends a variety of dance and fitness classes with other instructors to expand and keep up her own practice. April took her first flamenco steps in Sevilla in her early 20s while spending a year abroad in 2005. Immediately hooked, she returned home to Minneapolis MN and began studying with teachers Colette Illarde of Fuego Flamenco and Susana di Palma of Zorongo Flamenco.In 2010, she packed her bags and relocated to Albuquerque, New Mexico to study at the Conservatory of Flamenco Arts. From 2013-2016, she studied technique with master teacher Eva Encinias-Sandoval at the University of New Mexico. During this time, April was incredibly fortunate to have trained with many visiting master flamenco artists.While serving as Education Programs Manager for the National Institute of Flamenco from 2014-2016, April taught Adult Intro to Flamenco, and children's intermediate flamenco. Currently, April is pursuing graduate studies in ethnomusicology at Tulane University, but has missed flamenco and is excited to teach again! Her pedagogy follows the curricular model developed by her primary mentors, Eva Encinias-Sandoval, Marisol Encinias and Joaquin Encinias, and is a great way to learn the essential basics of flamenco technique, body placement and rhythmic awareness. Ector Gutierrez, known for his smooth and seductive style, studied Argentine tango in the United States and Buenos Aires under the world's greatest tango masters. His personal style is heavily rooted in the techniques of traditional Salon tango and also utilizes some of the freedom and creativity of Tango Nuevo. Ector is based in the New Orleans area, but his dancing and teaching talents take him around the region and across the globe, including workshops as far away as Beijing and Hong Kong. Ector's partners for performances include Chris Morris, Katarina Boudreaux, Michelle Erdemsel, Lesia Lebeaue and Sarina Cupo. With Susana Collins in Houston, Ector performed in Crisalis Music Project's Cuatro Estaciones Portenas in 2006 and Maria de Buenos Aires in 2007. Also in 2007, he was a principal dancer in Collins' stage show Luna Argentina and performed with her at Casa Argentina de Houston's Night of Tango. Peter teaches salsa and kizomba! Cameron is a poet, dancer, avid meditator, and coffee shop enthusiast. Originally hailing from the great state of South Carolina, he has been dancing for nearly 10 years yet continues to commit himself to learning and exploring new aspects of the dance. His thoughtful teaching style and compassion makes him an excellent addition to the team! De'Jon was Born and raised in New Orleans, Louisiana and his 1st dances were highly influenced by his Dominican background. He has studied and Trained with Aurelio Gonzalez (Cuban Master based in New Orleans), Troy Anthony, Jorjet Alcocer and Raymond Armant of Mambo Orleans. He Currently teaches Bachata (Traditional and Sensual), Salsa on1 LA Style and Salsa on2 New York Style, Cuban Style Salsa, Casino, Rueda, Merengue and Kizomba. Alex’s first time moving to music was in the family room of the house he grew up in on the outskirts of Chicago. Everything changed after he watched the notorious Gap commercial featuring Lindy dancers flying and doing energetic tricks. It was the spark that led him to sign up for his first swing class in 1999. After that, Alex refocused his social dance skills in Lindy learning from Nicolle Wood of Swing City Chicago. His progress in Country dancing happened on the dance floor at a bar. By 2000, Alex was extensively training in West Coast Swing, Lindy, and Country. He also began training with Matt and Ula Rivers in International Latin and participated in multiple latin dance troops in Chicago. During this time, he was also invited to participate in the Big City Swing Lindy dance troupe. A Bollywood and hip hop fusion dance teacher from Jersey City, Tina decided to become an international group choreographer at Stevens Institute of Technology (winning the international dance competition Unity 3 years in a row as group choreographer) Tina has taught Zumba in New Orleans for a year, then trained with Bayou Movimiento in Salsa, Bachata and Kizomba, and dancing these three genres for the last 1.5 years. Tina has taught or co-taught fusion choreography, Kizomba, beginner Brazilian Zouk (workshops, privates and classes) and more New Orleans LA area. Sarah hails from the great Florida panhandle and is one of those people we love to hate for finding swing dancing at a young age. She's been in the game since middle school. Trailblazer? Nerd? Potato, Pot-AH-to. She's elegant and natural in her movement and teaches with humor and compassion. She likes kittens, space pants, and tiny instruments. As a Louisiana local, New Orleanian Shae Thomas is no stranger to the dance world. For over 25 years she's danced a variety of styles. Initially she started in: ballet, jazz, character, lyrical, contemporary, tap, and eventually pointe. Over the years she performed in several productions with the Delta Festival Ballet Company and many other dance companies. As a teenager she fell in love with hip-hop and latin music and dance. Since then, she's become certified in Zumba and Zumba Toning, teaching dance for fitness for over eight years. Moving more into the latin world, she's attended, performed, and taught at multiple dance congresses and events. After training to learn several styles of social dance, it's hard to say which is her favorite. She can often be found dancing: salsa (On1 and On2), bachata (traditional and sensual), kizomba, semba, and tarraxinha. Lindsey started dancing at age three in Texas, where she was born and raised. As a child she trained in ballet, tap, jazz, hip-hop, modern and lyrical dance, and as a teen, her dance focused on ballet, jazz, pom, and high-kick. She won several 1st place titles at both regional and national competitions with her dance team. During this time, she also performed at several high profile events, including half-time shows for the Houston Rockets and at Disney World in Orlando. At the beginning of 2016, she co-founded Milonga Osada, an organization that hosts social events and visiting instructors, in order to support and continue the growth of the New Orleans Tango community. Over the last 5 years, Lindsey has expanded her partner dancing training to include West coast swing, salsa, rumba, east coast swing, lindy hop, blues, foxtrot, and waltz. Sergio Zelaya, Director of Bayou Movimiento, brings 19 years of dance experience and studying into the studio! With a diverse knowledge of dance styles including: salsa, casino, bachata, cha cha, kizomba, semba, son, rumba, cumbia, and many others, he has developed progressive courses that maximize your development as a social dancer!